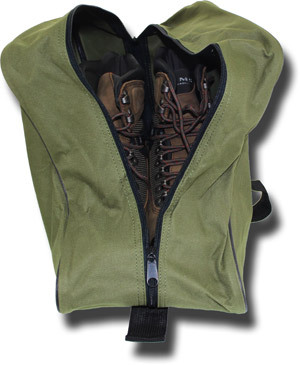 Keep your trunk from getting dirty by putting your wet/dirty wading boots in this convenient boot bag. Velcro top strap for easy carrying. Redesigned to fit larger boots! Easily fits up to size 16 wading boots.